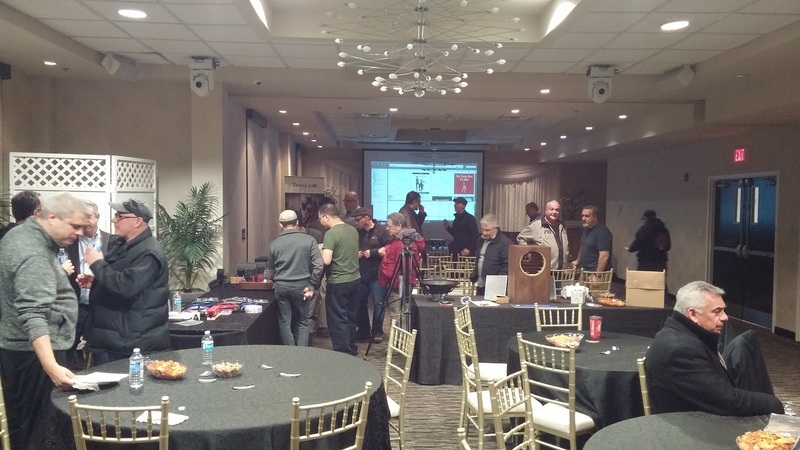 Well, many thanks to Frank Fazzalari; his audio meet was a resounding success! 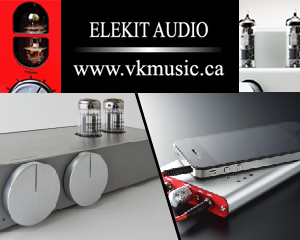 There was a great turnout of people, and everyone was buzzing about the excellent sounds and cool products on display. There was pizza, drinks and munchies too, and good conversation. It was awesome to see some old friends again. 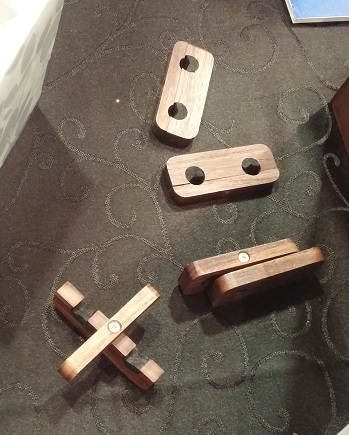 Here are some pics and my assorted comments. 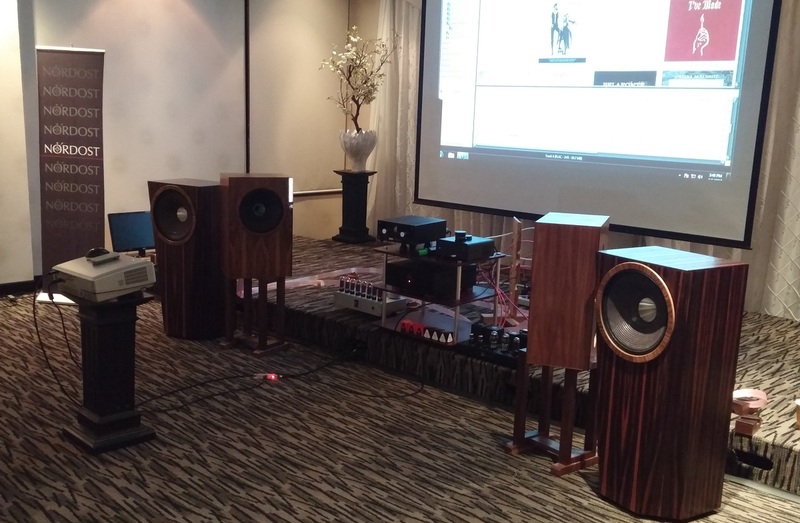 Coherent’s glorious Model 15 were the star performers, seen here flanked by the Model 12GR. A closer look at the electronics. 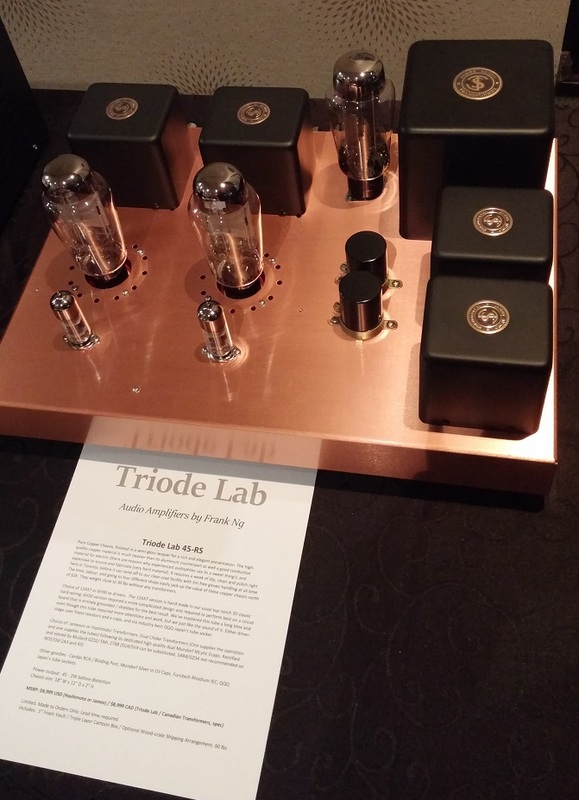 Triode Lab 2A3 SET amp on the right; Transcendent’s OTL amp on the left side. On the shelf are the preamp and DAC, being fed by a Macbook Pro running JRiver, and displayed by a Sanyo screen projector. 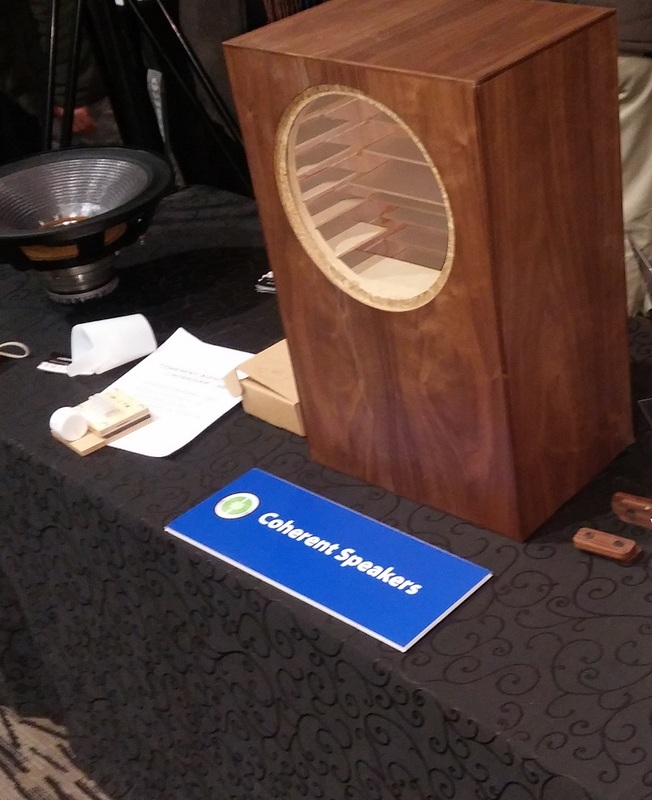 The heart of Coherent’s flagship speaker is the Radian 5215B BeNeo driver. 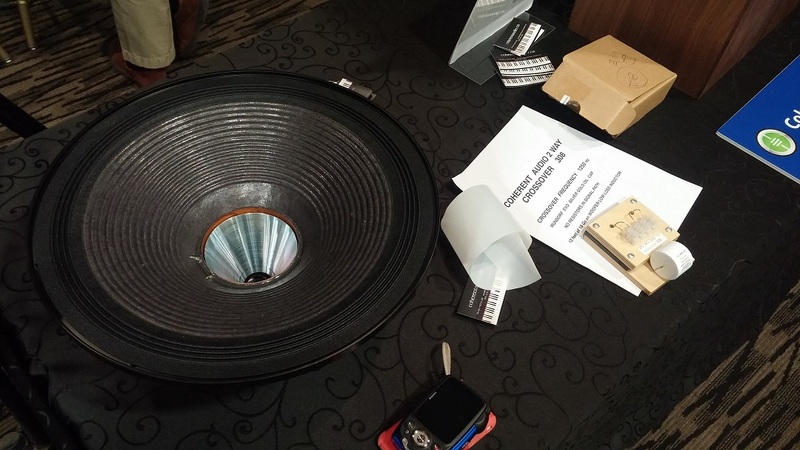 Seen beside it is the heart of all Frank’s speakers – his custom design crossover. A closer look at the Coherent 308 crossover. The inductor is cleverly sandwiched between the mounting pads and out of sight. For more on Frank’s Mundorf-based crossovers for coaxials, see my series of articles. 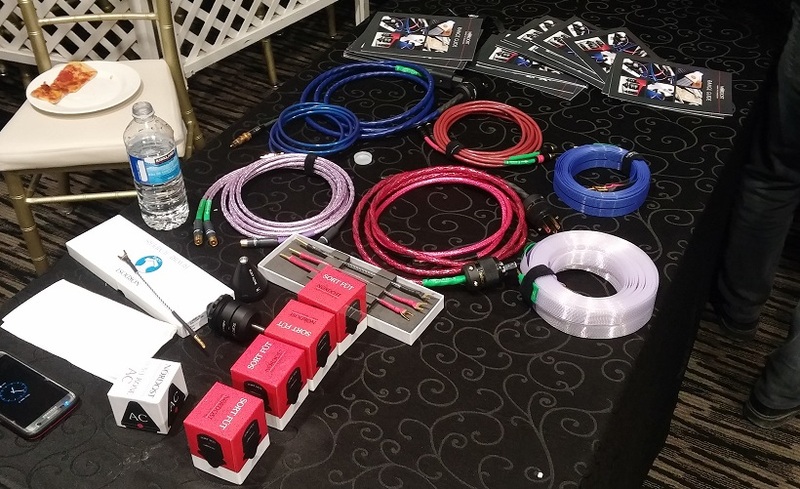 Assorted Nordost products on display. Fluxion’s single-ended, 6C33CC-based stereo amp (12wpc). 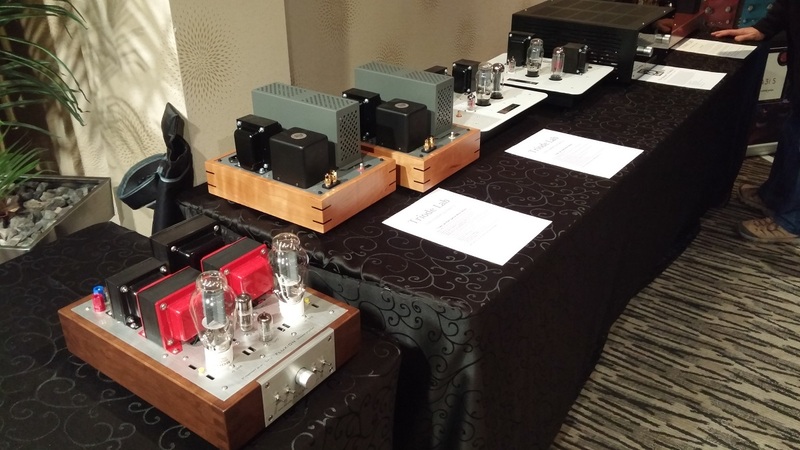 Fluxion’s 300B SET amp seen beside a line of amps from Triode Lab / Finale. 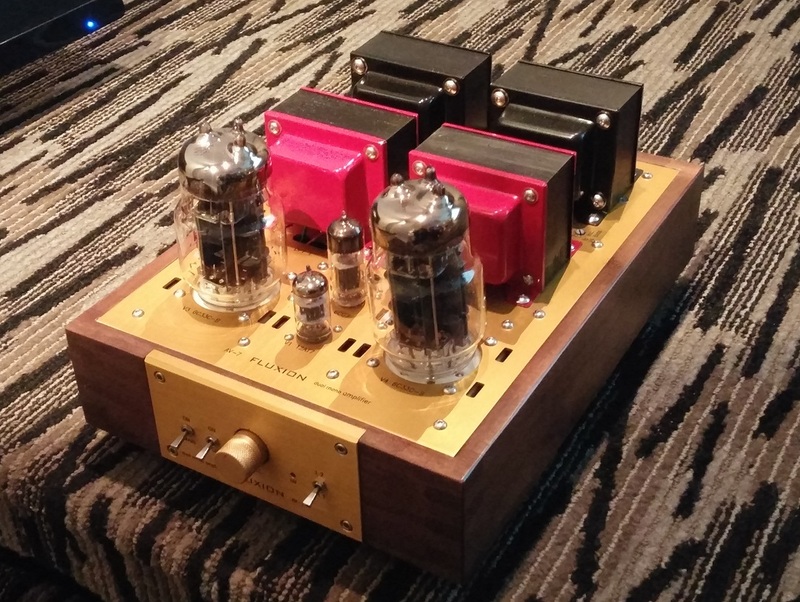 Frank Ng’s copper-chassis model 45-RS, with Emission Labs tubes..what a beauty! A closer look at Fluxion’s 300B. I spoke to designer Young Ahn, who told me that he winds all the transformers himself. Very impressive. Another Coherent prototype design, Frank’s simple ‘cable contraptions’ are meant to keep your left and right channel leads separate.